The second half of TIM took me a whole lot longer than the first so I shouldn’t have worried too much about longevity. It included levels that I breezed through in about a minute and others that I agonised over for ages. There doesn’t seem to be much in the way of consistency in terms of difficulty. It’s not necessarily the number of components that make things difficult, it’s the number of alternatives available at the start. E.g. there is loads going on with this machine in which I have to fire off all the rockets. The pre placed objects make it fairly easy to work back though. I clearly need the torches/glasses to light the rockets, at which point I need to drop something on to them to start the torches, and I can just work back through the process one piece at a time. When the obvious stuff is done, half my objects are placed making life easy. This level on the other hand had me stumped for ages. I have to get both mice running on each side which means moving the two tennis balls into them. I tried to go via the top route as on the right which worked for one side but not the other even though it was the mirror image. I fiddled around for ages with slight ramp adjustments before I figured out to go from the bottom instead. In hindsight it makes more sense but it’s not always obvious how to approach a new level when you have a mostly blank screen and loads of items to place. 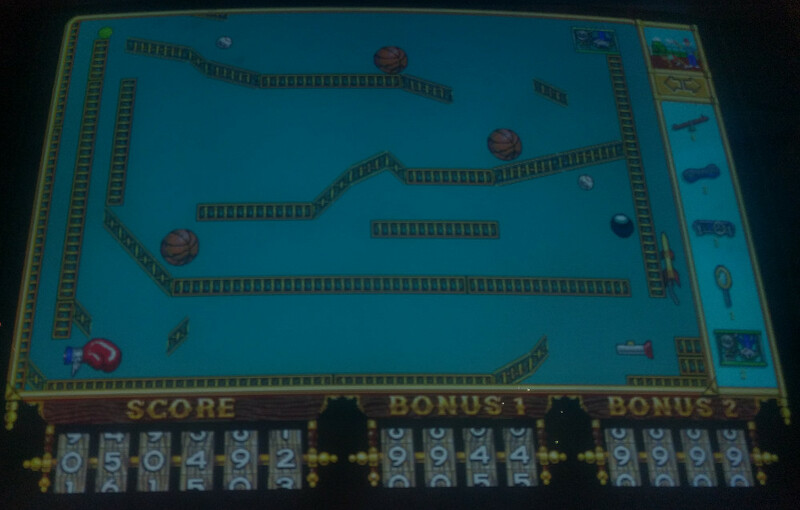 Some of the later levels actually offer fewer objects to place and as such are simpler than what came before no matter how complex the actions of the machine. The multiple solutions carry on right until the end which can help out. The final level requires launching the rocket at the bottom right. 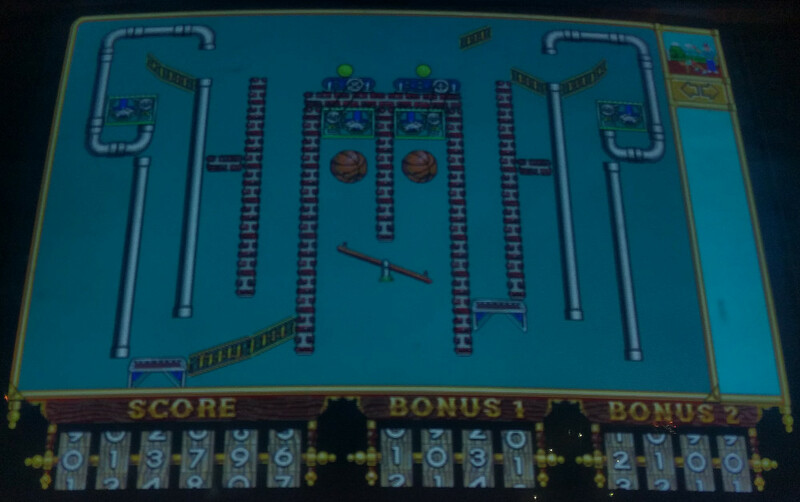 I’m clearly supposed to come up with a means to get balls up the screen using see saws from the baseball, through the basketballs, eventually setting off the boxing glove and firing the other baseball into the torch to light the rocket. In my solution I didn’t do any of this. 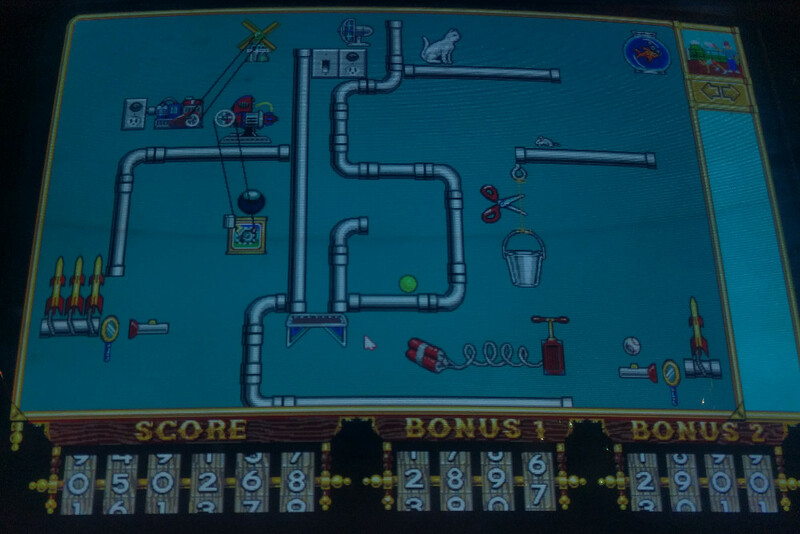 I just stopped the bowling ball from falling with a small conveyor and used a couple more conveyors to whiz the baseball to the left and then back to the right through the hole launching the rocket. Total gameplay was somewhere along the lines of 6 hours. You can carry on building your own machines with unlimited components but I’m more into solving puzzles so I’m stopping here. The puzzles side of TIM is arguably a little on the short side but probably about right to keep things fun. The number of components in TIM sounded like a lot when I started out but there was a slight lack of variety as the game progressed. I still really enjoyed it. The experience could have been a bit more polished but it’s a solid game that is as playable now as ever. TIM spawned a whole stack of sequels which I should have a look at some time. The are all available on GOG in one pack for about £1.80 in the current sale, a serious bargain by any standards. As for this first game, I wouldn’t quite put it into the classic category but I expect the sequels could push it over the edge if they offer much in the way of tweaks and improvements. 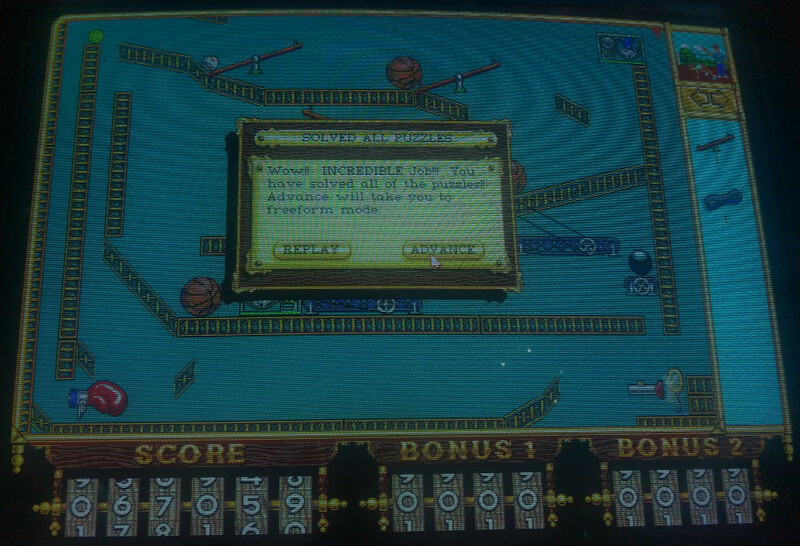 This entry was posted in Off Topic and tagged The Incredible Machine by Pix. Bookmark the permalink.